Looking for best restaurants in Croatia for exclusive clientele, for people, who appreciate the genuine flavors of cooking and culinary pleasures, the finest restaurants with best comfort and cuisine that stretch expectation? This is the place for you! We are presenting the top and the most elite, exclusive, luxury and VIP “slow food” restaurants in Croatian cities, regions and Adriatic coast and islands from Istria and Kvarner cities Pula Rovinj Opatija Rijeka over Zagreb through Dalmatian cities Split Šibenik Zadar and to Dubrovnik. 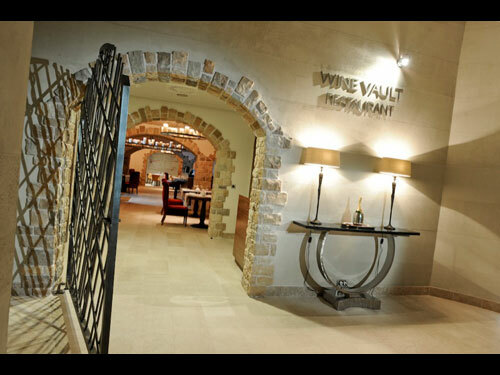 Wine Vault, as the name suggests, is a place for a wine-oriented gastro experience – try our blend of traditional French cooking and choose something from the excellent wine list featuring more than 550 labels from Croatia and all parts of the world. Showing 1 - 12 of total 12 results. An innovative cuisine, prepared with the freshest ingredients and impeccably served will lead you on a culinary odyssey as breath-taking as the view of the Adriatic Sea and fortresses of Bokar and Lovrijenac that frame the view. 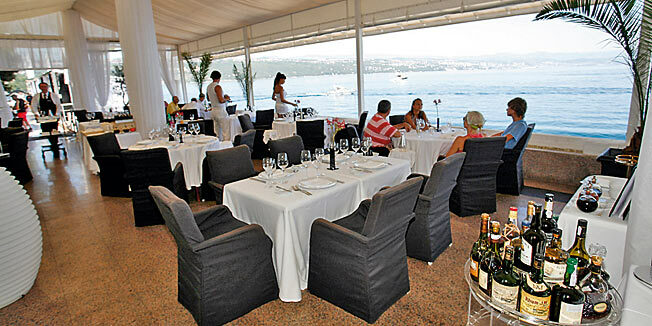 Already famous for dictating the standards in the restaurant business in this part of the world, Bevanda restaurant in Opatija has turned a new chapter where high-profile guests are offered excellent service, imaginative cooking, an impressive wine list and a relaxing atmosphere that is enhanced by the sounds of the sea and jazz music. 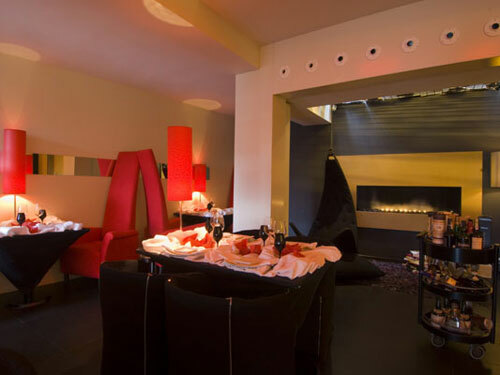 Part of the restaurant includes the first Champagne&Caviar bar on the Adriatic, which offers a unique selection of champagne, vodka and caviar. 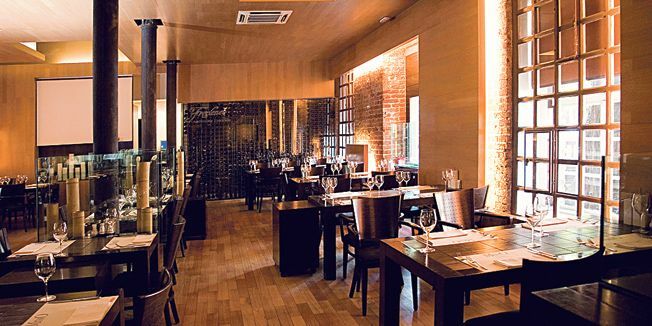 One of the most elite restaurants in Zagreb, fully renovated in 2010., attracts prominent people of Zagreb and Croatia and famous people from around the world who visit Zagreb. 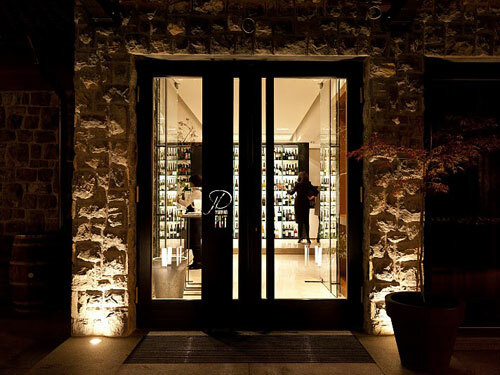 Extensive wine list features over 600 labels from Croatia and around the world. 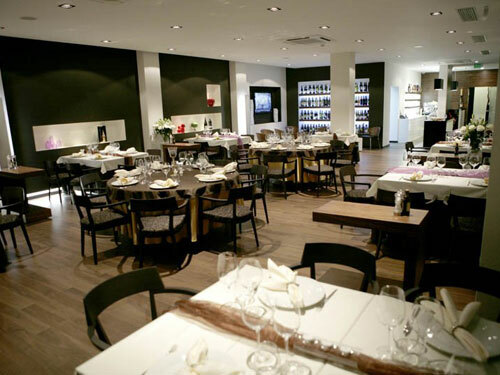 The restaurant Mano in center of Zagreb is a comfortable minimalist designed high-end steakhouse and known by its unique menu, and mixing modern and traditional, domestic and international cuisine. Mano wine list features Croatian winemakers and wineries but also a great selection of quality Slovenian, French, Australian and Tuscany wines. Kukuriku Restaurant is known for its eno-gastro service both domestically and internationally, which is the result of a long standing tradition of avant-garde approach to cooking and to clarity of vision of its creator Nenad Kukurin. His distinct style and artistic approach to food preparation and presentation has set many of today’s accepted guidelines in gastronomy and fusion of sometimes unexpected food and wine combinations. The many awards and recognitions he has received in his long career are not the ultimate pleasure for Nenad Kukurin, who admits that his greatest joy is to see his guests content and satisfied after preparing and presenting them with his personally created dishes. Opened in spring 2010, stylish Kadena with modern and elegant interior has a spacious terrace overlooking the sailing boats in Zenta marina. The menu features innovative contemporary Mediterranean cuisine, with an emphasis on seafood and has long wine list. 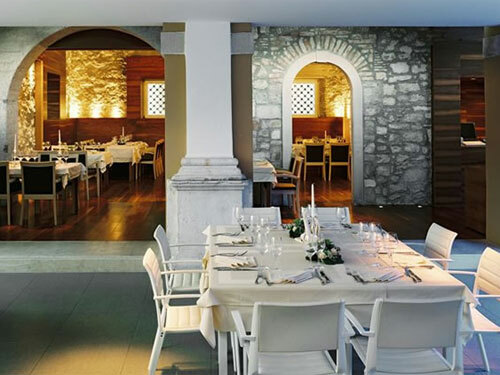 Situated in old fishing port Volosko near Opatija, serving high class local food with creative cuisine style ( mediteranien & light french cooking with traditional food ) and offers a unique dining experience inside and also on a beautiful terrace ( heated in winter ). The relaxed, comfortable atmosphere is complemented by a frequently changing menu. 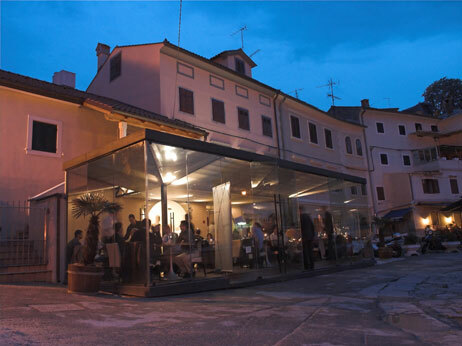 The most famous Istrian restaurant is a part of the same named small boutique hotel. It attracts gourmets who love to eat well, refined and differently. The cuisine is Istrian, creative and well-known outside the Croatian borders. 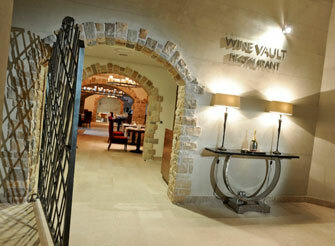 In the wine cellar offers 300 labels from all over the world, but priority is given to Istrian wines and other Croatian. 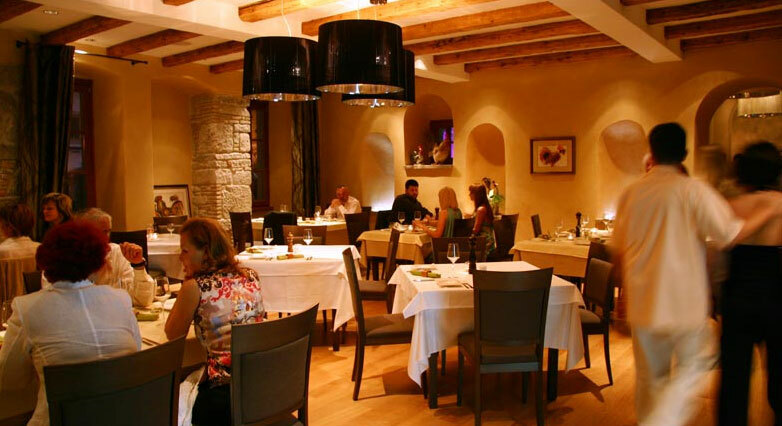 Seafood restaurant Foša is situated in a small port called Foša, very close to the town walls from XVI century. It's a combination of age-long Dalmatian trend and modern trends, in architecture and interior decoration as well as in gastronomy. 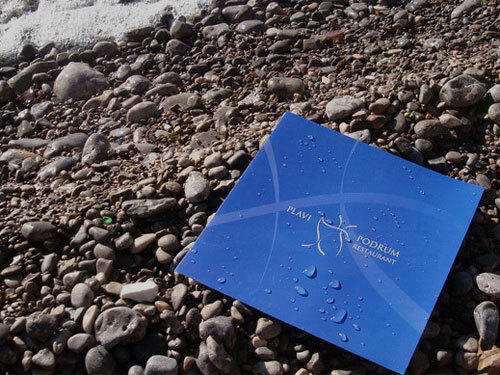 Located in the tiny north-west fishing village of Volosko, Plavi Podrum has put Croatia on the good food map by making the list of top 100 restaurants in the world for 2008 and in 2010. awarded with the prestigious international «Five Star Diamond Award» of the American Academy of Hospitality Sciences.